One of our goals this year is to eat more vegetarian meals each week. So far we are doing well. At about week two, we dropped the plan for eating veggie from Friday to Monday and just adopted a very simple, every other day approach. It was really Kim’s idea so I will give her full credit. The main reason was that we all enjoy a Sunday roast and at least this way we would be able to have one every fortnight. It is also a much better method of adapting to change and embedding this as one of our behaviors. Initially it did take a fair bit of work to figure out simple, easy to cook meals that were nutritious and tasty. We found things like soups, stews, tagines, salads, veggie burgers, omelettes, stir fries to name a few and all tasty alternatives to meat. As we have not removed meat completely from our diets, we don’t have to worry too much about complex proteins on veg days, even though Kim always manages to throw a can of 5 bean mix in with the soups and stews! Strangely, we have also noticed that when we do eat meat, it is in much smaller quantities and prefer to bulk the meal up with more veg, rice and pasta. Our fruit intake has also increased with small harvests from our apricot, peach and nectarine trees, with a bumper harvest from the old plum tree. I even bottled (preserved) 9 big jars of plums in syrup, as well as 4 apricot and 4 nectarine. We have enough fruit to last the entire winter or until we get sick of it, and we still have the Jonathan apples to harvest! I will preserve some rhubarb in the next few weeks as it is now getting big enough to pick. Anyway, some of my favorite veggie meals are spicy tomato soup, veggie chow mien, vegetable curry, chick pea and potato curry, Spanish omlettes with mushroom and caerphilly, lentil burgers with beetroot and egg on a home made bread roll and spicy sauce. All are delicious and mouth watering fare that tantalizes my palette. Now that we are approaching the end of February, I do believe that we have formed this habit and made it one of our behaviours. If you perform something enough times (7 I think), it becomes normal behaviour and looking back you often wonder why we didn’t do this sooner! Today I was convinced by my fellow blogger and friend, JulieG of Go Greener Australia, to apply for the Future Makers Award for this years inaugural WWF Earth Hour Awards. Nominations close tonight at midnight. entries is on now, closing February 25th. you’ll be inspiring so many others to care more for the Earth. Well, apart from being very flattered that anyone took the time to nominate me, I thought that it would be another avenue for spreading the word and benefits of sustainable living and lowering your personal environmental footprint. This goes beyond Earth Hour, which is exactly what this years campaign is aimed at. So if you choose to visit the link, and if you happen to click on the Future Makers Award nominate button, and suggest some silly old bloke who writes a blog about greening his lifestyle with the name of Gavin, it would probably be a good thing for the movement as a whole. What do you think? I don’t want to overstep my place or insult you good readers. This post may sound very vain, but it is not meant to and sorry if it does come across that way. I am just trying to get the message out there to the Australian public in the most modest way I can. People who visit our home during hot and cold weather often comment on the comfortable temperature inside it. Well it is not because we run the air conditioner or heater 24×7, far from it. It is more like a few small actions that we took and continue to practice each day. Firstly, we took the time to check our roof insulation levels. It is paper pulp type insulation and there is lot of it up there. I made sure that it was level throughout the roof space and that there were no gapes in the coverage. If it was too high in one area I just moved it with a flat board to another lower area. Job sorted and at no cost to me. When we first moved in we changed over the light fittings to more energy efficient ones, and tried to minimize the number of holes that we cut into the ceiling. Holes mean heat loss on a cold night or heat ingress from the roof cavity during hot days. We repeated this philosophy when we planned and built our kitchen renovation last year. We actually eliminated all the holes in the roof in what was 3 separate rooms. 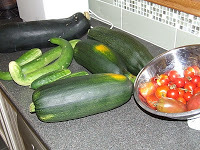 The kitchen is much warmer in winter now, and cooler in summer because of it. We also fitted ceiling fans at both end for additional air movement and in every other room as well. Then it was on to weather proofing or draft proofing to ensure that there could be minimal heat loss from our home. It also prevents heat ingress during summer. 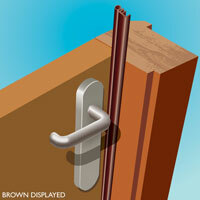 Drafts and gaps around the doors and windows can account for 25-50% of your homes heat loss. It was quite an easy thing to remedy as the window frames were all in good condition with no gaps and we only needed to consider two of the three outward facing doors as the glass sliding door was already draft proofed. To close up the gaping spaces between the door jams and the doors, I used foam strips from the hardware store and ran it all around the frame on both doors. Then I installed a draft stopper at the bottom of each one which eliminates the gap underneath each door as it closes. Total cost was about $50 for both doors. I tested each door with the smoke from an incense stick to ensure that there were no drafts. With the doors and window gaps taken care of, there was the window glass to consider. Windows are a bit of a mixed blessing. You can let a cool breeze flow through at the end of a cool day and it can let out pollutants out. However, did you know that glass can be the cause of around 10-20% heat loss in winter and around 25-35% heat gain in summer. Not a very good insulator at all. Now double or triple glazing is an expensive fix to this problem and prevents most of the heat loss/gain with a pocket of air between two panes of glass, and is well worth the capital expense over the longer term. However we did not choose to replace every single window with double glazing because there is a cheaper alternative. As we have sliding windows in an aluminium frame (more heat loss through the frame) I could not place bubble wrap up (acts like a simple double glaze) against the windows as we still wanted to open them. 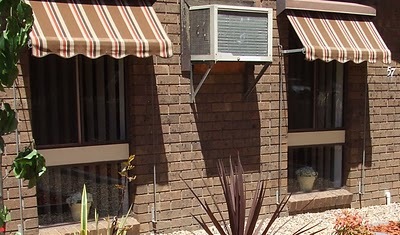 In summer we pull down heavy canvas awnings to the ground to prevent direct sunlight from entering the house from the north, and the east and westerly windows are underneath verandas. This stops most of the heat gain. 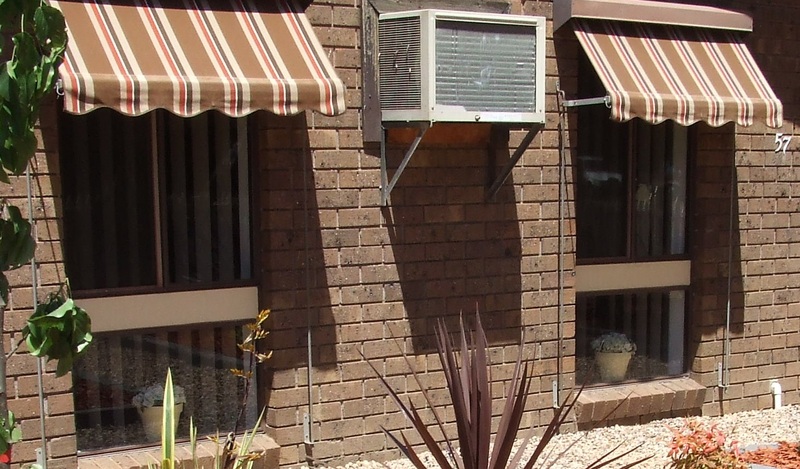 In winter we roll the awnings all the way up to let in maximum light and heat causing a mini greenhouse effect. Also with the aid of curtains, we also cover the windows on hot days and cold nights to stop heat transfer either way. In both seasons we zone the house using internal doors and usually stay in the most comfortable rooms, south in summer and north in winter. 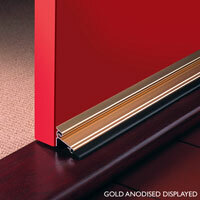 By closing off unoccupied rooms, you avert cooling or heating this extra space. Why would you heat an empty room? Kind of like leaving the light on when it is empty, same principle. We have a ceiling fan in each room to assist with moving the air around in both summer and winter, and in emergencies (days over 35C) we use the air-conditioner for a few hours until the room cools down. We have a two natural gas wall heaters for winter. All of these active home management principles help us to maximize our heating/cooling expenditure. Other things we practice is using only one of the two wall heaters at a time an only for two hours a day in winter and off at bed time. Extra blankets are a much cheaper alternative than leaving the gas heater on all night. If anyone is cold during the day, then we tell them to put a jumper (sweater) on to warm up. With the draft proofing and active home management, our home stays a nice 20-25C in summer and 18-20C in winter with very low energy bills. All common sense really in a world that seems to be lacking some. Finally, size really does matter! Larger, modern homes have a greater internal space which uses more fuel to heat/cool it, with little in the way of internal door to zone areas off from the rest of the home. They also have to use central heating to keep it warm in winter and big split system air-cons to keep it cool in summer. Basically they are unbearable without these devices. The larger the home, the more energy required to control the comfort levels. So by having a well designed or thoughtfully retrofitted smaller home, and by using passive design or active home management, you can keep your energy bills way, way down. Behavioral change costs nothing at all!